If you've booked your holiday for 2019, or are about to book a holiday, you'll probably have a few questions about what will happen after 29 March 2019 when the UK leaves the European Union. Brexit negotiations are still ongoing, and we don't know if there will be a deal, or no deal, but the good news is, it's possible to Brexit-proof your holiday. Emma Coulthurst, travel expert from holiday price comparison site TravelSupermarket, has shared everything you need to know about travelling to Europe after Brexit, including how to pick up a bargain. The EU does not want to make travel from Britain to Europe difficult, as Brits spend a fortune on holidays in Europe. The EU has already offered a deal to allow flights to continue in the event of a no-deal Brexit and has recently stated that no aircraft will be grounded, even if no deal is reached. Also, when it comes to current compensation rights for delayed or cancelled flights, there is positive news; the UK Government has said that, irrespective of what happens with Brexit, these rights will be kept and not diminished. Turismo de Portugal’s plan, in the situation of a no-deal Brexit, includes visa exemption (for trips of up to 90 days), dedicated passport control areas/lanes for UK flights, and the use of the Portuguese National Health Service. Other countries could follow suit. It's also interesting to note that where an economy relies on British tourism, those countries need to compete to get us. Summer 2019 package holidays are currently on sale for as much as 36-percent cheaper than if you were buying a summer holiday at this time last year. With a no-deal Brexit, you will be considered a third party national after 29 March, and UK citizens will need to have at least six months left on their British passport. So, if you are planning on travelling to Europe from 30 March 2019 onwards and your passport is nearing its expiry date, you may wish to consider renewing now. Also, as of September 10, 2018, any extra months you have on your passport from an early renewal will not count. Previously, you could carry up to nine months over. So you need to look at when your passport was issued, and add 10 years to get the expiry date. Do not use the actual expiry date printed on the passport. Other than that, there are no changes for now when using your passport (which has the European Union wording on the front cover). In fact, all current passports are likely to remain in force until their expiry and only then would they be replaced with something without that wording. You can check whether you need to renew your passport using the Government's Check-a-Passport tool. 3. Will I need a VISA after Brexit and will it be expensive? British citizens will not need to apply for a visa after 29 March, and should be granted visa-free travel for a short stay, the European Council proposed. A 'short stay' is defined as 90 days in any 180 days. The European Commission has suggested even in a no-deal situation that British citizens will be able to travel visa-free if the UK offers the same deal to EU nationals. However, it is likely that a three-year pre-travel authorisation, called European Travel Information and Authorisation System (ETIAS), will need to be purchased prior to travel. This will cost €7 (approximately £6.30). It is a form of light visa and is similar to the ESTA visa waiver scheme which the US currently has with the UK. Bear in mind that a deal scenario will see a 'transition period' until the end of 2020, meaning travel will continue as usual and not be subject to any changes until this date. If you are booking your 2019 holiday now, then take out travel insurance protection on the day you book. This isn’t specific Brexit advice; you should do this anyway as it covers you if anything goes wrong, for example, you have a serious illness and are unable to take the holiday. You may also want to consider including comprehensive cancellation cover, to cover you in the event of a strike or travel disruption. 5. Will European Health Insurance Cards (EHICs) still be valid post-Brexit? Our future use of the card is still being renegotiated. Should Britain remain within the European Economic Area (EEA), (Iceland, Norway and Lichtenstein are examples), having chosen to leave the EU, it is hoped we will be able to keep reciprocal healthcare with the other EEA/EU nations. The alternative would be to negotiate separate reciprocal healthcare agreements with individual countries, similar to those that the UK already has with Australia, New Zealand and Russia, which could take some time. In a recent report released by ABTA, published in partnership with Deloitte, the travel agent body suggested that if UK citizens were left in a position where their access to local healthcare abroad was restricted, travel insurance premiums could rise. 6. Will mobile phone companies start charging roaming fees again after Brexit? A recent benefit of being a member of the European Union has been the elimination of roaming fees and call charges when travelling in other EU countries. For now, this will continue and if a deal is struck, it will extend through the transition period until the end of 2020. After this, mobile phone companies could review the surcharges and increase bills. However, if a deal is not reached, the government has promised to legislate to cap roaming charges. 7. Will I need an international driving permit to drive in the EU after Brexit? It is believed that the UK Government is planning to come to a new agreement that will allow business as usual. However, if this new agreement is rejected, Brits may need to purchase an International Driving Permit (IDP) to drive in the EU. There are currently three IDP types available that permit drivers to get behind the wheel in different countries, costing £5.50 each. You get a permit by taking your driving licence, additional ID (e.g. a passport) and a signed passport photo to the Post Office. Your car insurance will not automatically extend into Europe. You will need to check and request a “Green Card” from your insurer for an extra charge. You can currently get a lot of lev and lira for your money from short-haul destinations such as Bulgaria or Turkey, and long-haul destinations such as South Africa and Mexico offer a really good return on your sterling. You also need to consider the cost of the package holiday and how much things will cost you when you get there. In 2017, package holidays from the UK to Turkey tended to be at least 22% cheaper and as much as 64% cheaper than Spain. This year, in 2019, that has flipped and package holidays to Western Med destinations such as mainland Spain, Majorca and Portugal are, on the whole, cheaper than to Turkey. So, it is worth comparing prices before making your final decision. These are currently the five locations offering the most affordable short-haul package holidays from the UK this summer according to TravelSupermarket: The Algarve, Costa Brava, Crete, Corfu and the Costa del Sol. Consider a holiday to a country with a lower cost of living. Portugal, for example, tends to be a little bit cheaper for eating out than Spain. Food and drink prices are much lower in South East Asian countries such as Thailand, Vietnam, Cambodia and Indonesia. Eastern Europe offers you a lot of choice for a city break and prices tend to be around a third or more lower than in the UK. Destinations to consider include Budapest Bucharest, Riga, Sofia, Prague or Tallinn, Krakow or Warsaw. 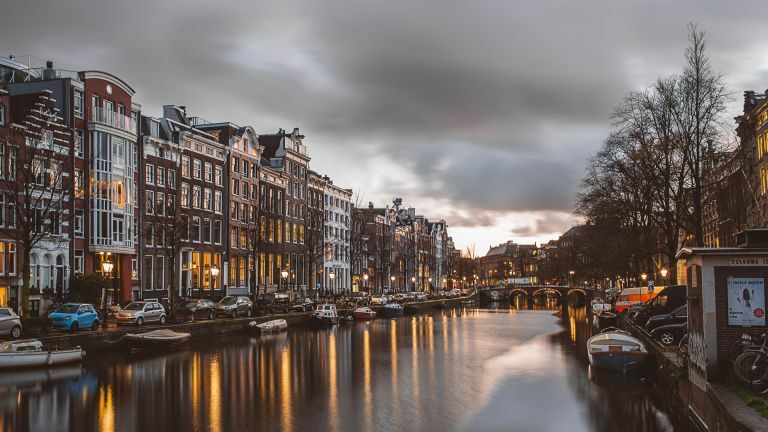 The best times to visit these cities are now or in the autumn, when the summer throngs of tourists are nowhere to be found and package prices tend to be at their lowest. The EU Package Travel Directive is very important for Brits who book package holidays within the EU. The legislation covers a whole range of issues, including if a package organiser goes bankrupt or does not fulfil the terms of the holiday contract. Once we leave the EU, we will still enjoy that protection. Plus, the UK has its own ATOL scheme, which operates to standards over and above the current EU directive. However, you are not covered if you book a flight and accommodation separately. A package gives you (ATOL) financial protection, which means that you are entitled to a refund or to be brought home if the travel company goes out of business. Legal protection under the EU Package Regulations means your travel company is responsible for making sure that you get the holiday you paid for. If something isn’t provided or isn’t as expected and the travel company or its suppliers are at fault, they will need to resolve the issue, whether it’s offering an alternative or providing a full or partial refund. When you turn up at your destination and the hotel isn’t as advertised or heavy snow prevents you from travelling, the provider you purchased the holiday from is responsible for looking after you, whether that’s fixing the problem or rearranging your holiday. Another way to beat exchange rate currencies is to consider an all-inclusive holiday. This way, you avoid poor exchange rates and don’t have to worry about spending lots of extra money on food and drink. Don’t exchange money in airports where rates are at their least competitive. Compare online to get the best rates; find the place where you have to hand over as little sterling in exchange as possible. This can ensure you get a lot more for your holiday money. We ran a quick comparison and found we could save £33 by buying €1,000 with the best-buy company versus the most expensive – not bad for two minutes spent online. Many credit and debit cards carry a 2.99% transaction fee. That’s an extra £2.99 to pay for every £100 you spend. Debit cards in particular tend to cost you more than credit cards and the costs are hidden – you don’t see them until they hit your statement. However, the costs don’t stop there. Every bank also has to convert the charge from the currency you are buying into sterling. And the vast majority take this opportunity to take a little more for themselves. It’s called the currency loading fee which can add as much as 3% to the cost. So you could actually find you’re paying as much as 6% extra for the privilege of using your card overseas. And forget trying to use your card in an ATM. Debit and credit card issuers are ready to impose an ATM charge of up to 5% or a minimum of £5 per withdrawal and then impose interest on top too. I’d highly recommend getting a credit card specifically for overseas’ use which you just use when you go abroad; with the right card, you will get a better exchange rate on this than you can get for currency and there are no transaction fees. Obviously, always make sure you spend within your means and pay it off on time. If you are paying by card overseas and you are offered the chance to pay in pounds, refuse and pay in the local currency. Paying in sterling will cost you more as the retailer may take an extra cut.